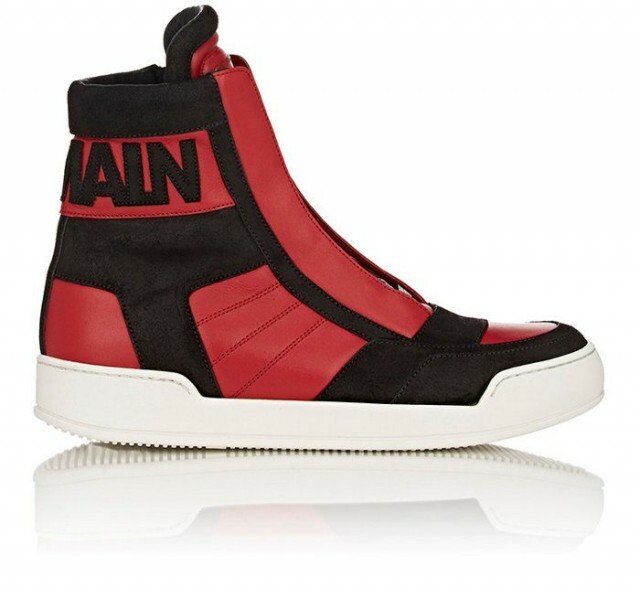 Balmain Logo Patch High goes "Bred"
High fashion and streetwear have always been synonymous with each other. From rappers to style icons, most like a little mix of high and low-end pieces just to show that it’s nothing to stunt. We’ve seen brands like Saint Laurent take their lavish sneakers and translate them to some of the most revered colorways of sneaker culture history,the bred and royal colorway. 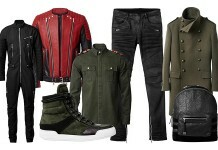 Now, fashion house, Balmain, is looking to use one of M.J’s iconic colorways for their own. 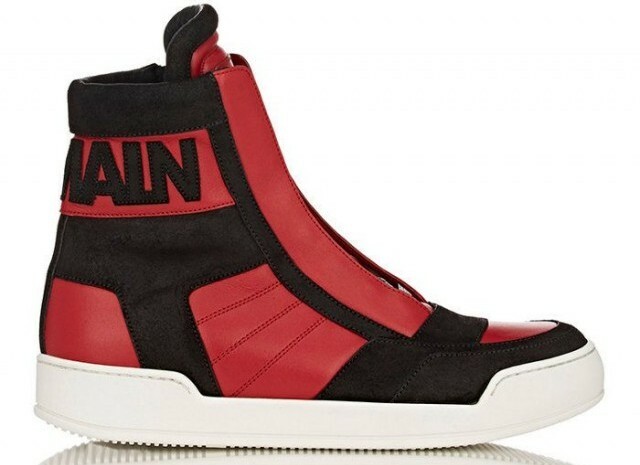 The super high top shoe is red and black throughout the upper. The red portions of the shoe is smooth leather, while the black panels are constructed of soft suede. A Balmain patch is placed near the lower portion of the ankle collar. The shoe contains waxed black flat laces and a metal zipper for those moments you just need to slide out those bad boys. A white rubber midsole is used to complete the shoe. The colorway may be borrowed from Air Jordans but these aren’t Jordan priced shoes. These will set you back $1200 from Barneys New York, so shop responsibly. What do you think? Let us know in the comment section below.